Finding ways to reduce energy consumption and to use renewable energy can cut operating costs and increase profit even as it helps to reduce our carbon footprint and make our communities more climate resilient, by adapting to and mitigating the effects of Climate Change for the greater good of the planet. 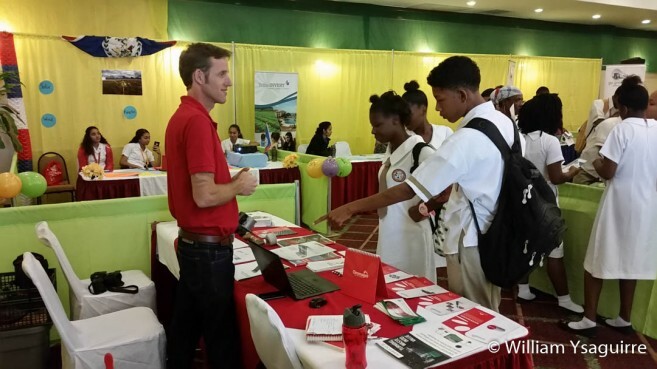 This was the message from the Public Utilities Commission when it hosted a Clean Energy Awareness fair as part of Belize’s Energy Week 2017 at the Belize Best Western Biltmore Plaza Hotel last Thursday, November 23. 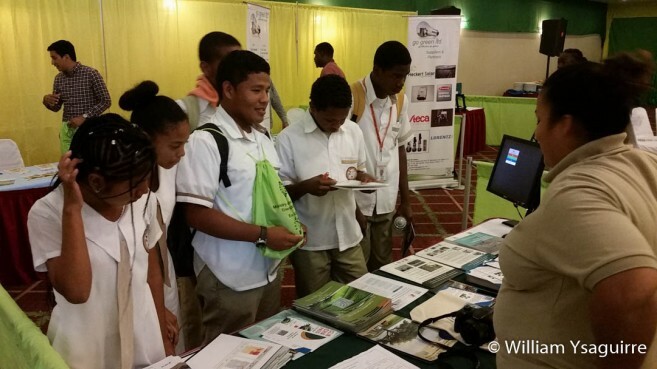 Belize’s energy week was observed as part of CARICOM Energy Month (CEM), noted Geon Hanson of the Energy Unit, within the Ministry of Public Service, Energy and Public Utilities, noted in his welcoming address. CEM celebrated the significant strides the region is making to transition to sustainable energy solutions. 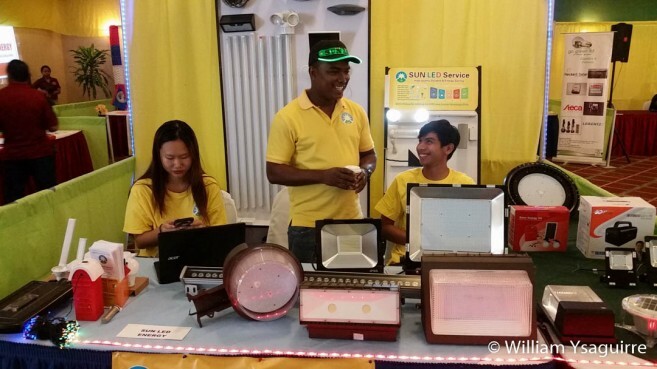 Among the energy solutions offered were the energy-mizer lights from Light Emitting Diodes (LED), which produce the same amount of light as conventional incandescent or fluorescent bulbs for a fraction of the energy consumption. Energy Management Ltd took it a step further by offering LED light units powered solely by solar panels which charge a battery to power the lights at night. The units are self-contained and weather-proofed for easy installation and low maintenance, with no light bill for electricity from the grid. Sun LED Service offered similar lights in flood lamp size. 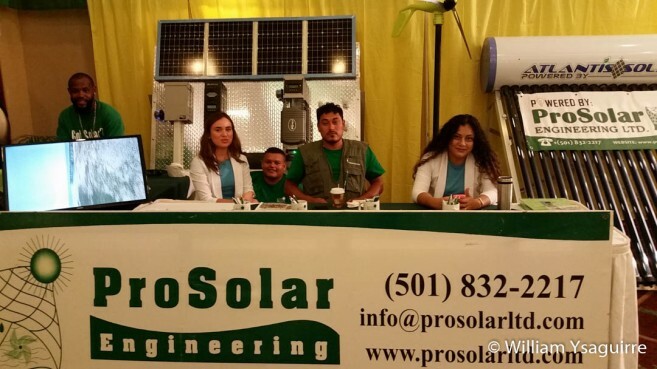 ProSolar Engineering Ltd of Belmopan has been in business for over eight years, and offers Atlantis Solar water heaters which heat up to 50 gallons of hot water or supply 100 gallons of warm water, eliminating the need for gas-fired water heaters. They also offered outdoor water-proofed LED security flood lights, and others which are triggered by motion sensors, and complete systems which include a solar panel to charge two 12-volt storage batteries, which will power four LED lights, as well as charge laptops, cellphones, tablets and power a stand fan, a small television and other energy – efficient appliances, perfect for locations which are miles from the nearest power grid. 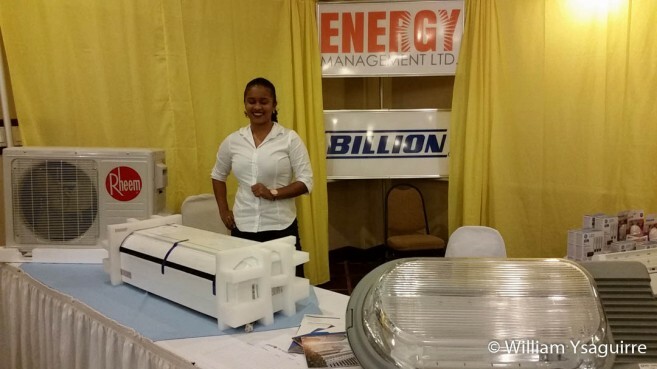 Chromagen Ltd and The Go Green Ltd of Belmopan also offered energy efficient systems for water and lighting. The initial investment may be a little more than for conventional lights, or older technology, but the energy savings and low maintenance costs offer long term benefits to make the investment worthwhile. The Development Finance Corporation was present, totally supportive of this initiative, by offering low-cost financing at 6% interest rate for any renewable energy/ energy efficiency installation for hotels, businesses or residential. The term of the loan may not exceed six years, but investors can get a one-year grace period, and the energy savings often more than offset the loan payments. The financing is available to the tourism, agriculture, agro-processing and manufacturing sectors, for any renewable energy investment, be it solar or wind power, solar water heaters, LED lighting, bio-fuels, refrigeration and insulation, air cooling, water catchment, etc. 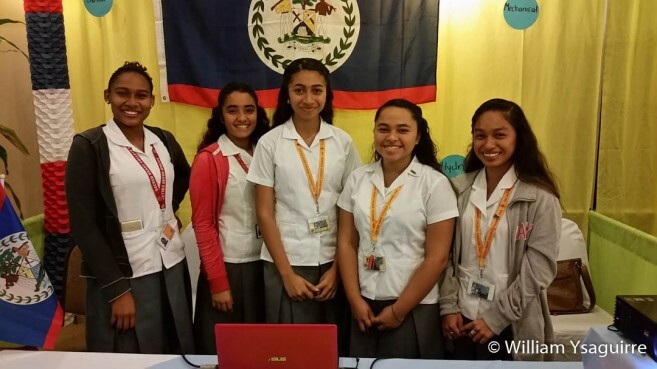 Sacred Heart College students Vanessa Williams, Reana Segura, Hamisha Awe, Cheyenne Gordon and Tricia Meza were also on hand to show off their prize winning video which won the PUC’s video competition to create a one-minute video about how we can economize on the energy we use. 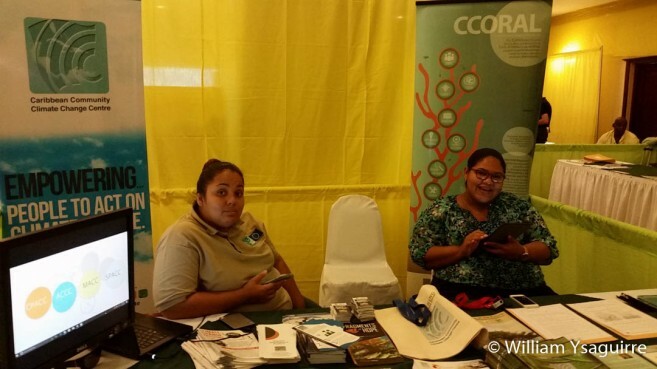 The Caribbean Community Climate Change Center (5C’s) from Belmopan also participated by distributing “Climate Change passports” to increase awareness of the multiple threats of global warming including ocean acidification which will impact all marine organisms which need to form a shell or carapace from calcium carbonate, the reduced availability of potable, fresh water sources, the health risks from airborne infections and diseases transmitted by insect vectors, longer droughts and reduced rainfall threatening agricultural yields of food, and diminished water quality as a result of salination from rising sea levels.